SecurityScorecard helps enterprises gain operational command of their security posture and the security posture of their third-parties through continuous, non-intrusive monitoring. The company’s approach to security focuses on identifying vulnerabilities from an outside perspective, the same way a hacker would. 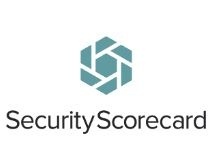 SecurityScorecard’s proprietary SaaS platform offers an unmatched breadth and depth of critical data points including a broad range of risk categories such as Application Security, Malware, Patching Cadence, Network Security, Hacker Chatter, Social Engineering, and Leaked Information.